So, Day 11’s post was all about peacocks and practice. Day 12 is about purple and patterns. I realized one of her dresses was a simple shape made out of t-shirt material. “I could make another one like that,” I thought. Ha! 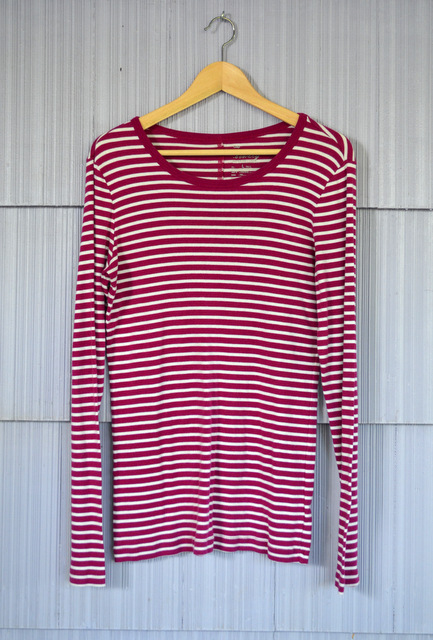 So I thrifted a large women’s shirt in hopes of making a long dress for BG. Now I am not much of a pattern girl. I’m more of a “make-it-up-as-you-go” kind of girl. But this seemed pretty straightforward. 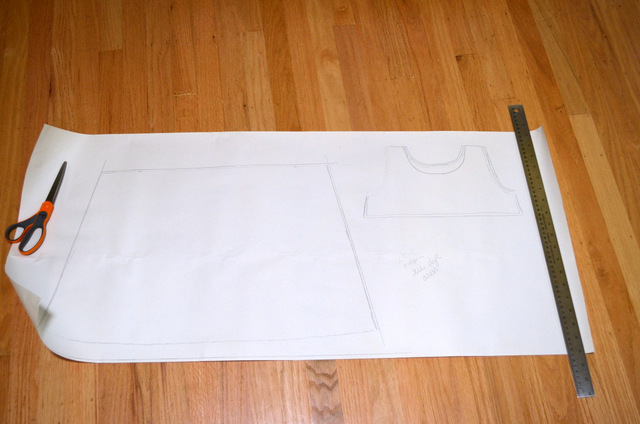 I traced the existing dress onto easel paper, adding 1/4″ for seams. I cut out the pieces. I sewed the straps and sides of the bodice together first. I knew the skirt would be larger than the bottom of the bodice, so I used this technique to create gathers. 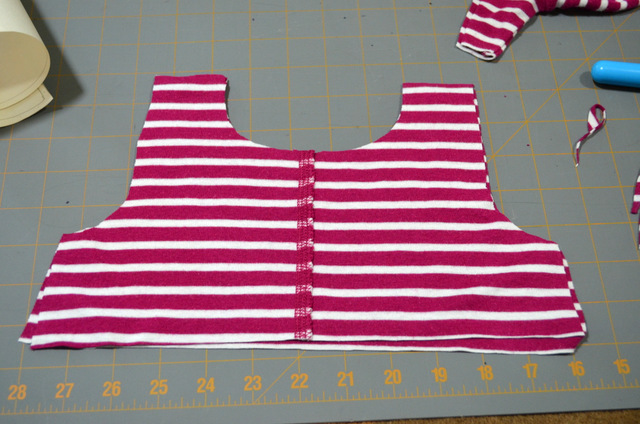 I thought (and rethought and thought some more) about how to pin the pieces together to make sure it was sewn correctly (wrong facing wrong or right facing right?). I was sure I had it figured out, so I sewed it together. Nope. That wasn’t it. This is the seam but it’s on the outside of the dress. But it was 15 minutes until we needed to pick up BB at school, and I was determined to finish. 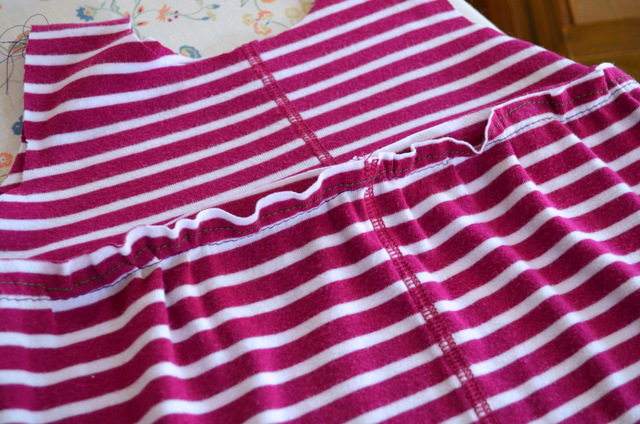 I pressed open the seam and did a quick zigzag stitch in hopes of it resembling a ruffle. 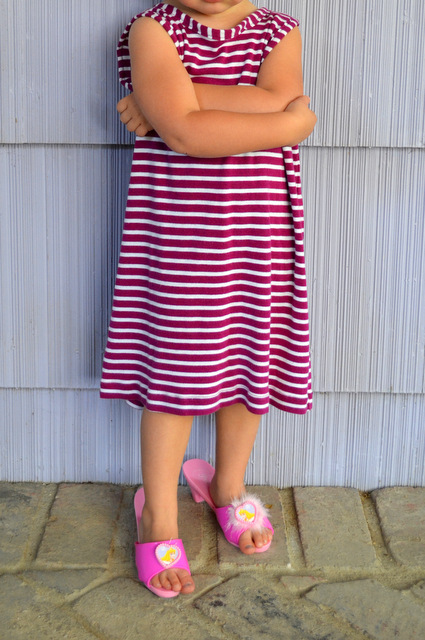 You can’t tell from the crossed arms, but BG actually loves the dress. 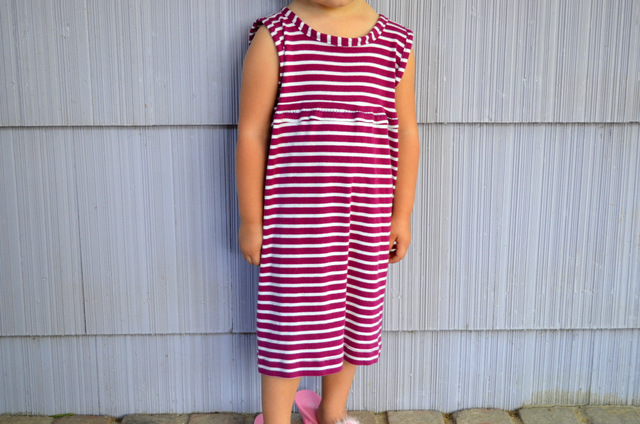 It’s longer than her other “Long Dress” – and, of course, it goes so well with her princess shoes. And for that, it’s perfect.